Posted on November 20, 2017 at 4:30 pm. While I’ve had my share of different kinds of running injuries over the past decade of training and racing, I’ve noticed in more recent time that my feet in particular are talking to me. Case in point: Just as I began to feel great about my stubborn right lower calf/achilles finally taking a hike, the arch of my left foot decided to say hello. Could it be this foot/leg has been overcompensating for my right side, and is now crying uncle? Or maybe my shoe choice of late is to blame…I recently started a writing gig that calls for office time (read: business casual attire) and while I’m not exactly breaking out the high heels, I have been wearing boots and shoes with low heels more often. Which brings me to some new insoles I have been trying out, thanks to Fastech Labs, a Troy, Mich. company that’s been in the foot orthotic industry for more than 30 years. Scott Jarold, director of Fastech Labs, contacted me about the company’s new line of athletic insoles. He asked if I’d want to give them a whirl, to which I couldn’t help but say, “yes, please!” Having been sidelined from running on and off (and on and off again) over the past year and a half, I want to see how these insoles may help by complementing my goal of stretching more often and listening to my body so that I can slowly and surely get back into a strong running routine. So far, I am really liking these insoles, which I am wearing in my everyday shoes specifically. (You can also wear these in your running shoe, although I have opted not to because I recently switched to Hoka One Ones and feel good with the support of these shoes). I am trying the Posuedus insole, which has full arch support. Three other options offer varying degrees of support. The full arch support feels great to me right now, particularly given a relatively newer soreness on the bottom of my left foot following a couple of runs. How did you become involved with Fastech and Zelus? About six years ago, at my previous place of employment, I actually spent a couple years working with the President of Fastech/Zelus on the original prototype/version of the Zelus insoles. The product was so unique and different than everything on the market, I mentioned that when they were ready to bring it to market, I would be interested in being a part of it. Two weeks later, I was brought on as part of the team, and here we are….four years later, and we are still going strong with our newest, and best version yet. What is your athletic/active lifestyle background? What are your favorite outdoor activities? Sports have been a huge part of my life ever since I was a kid. I played baseball, basketball, and ran track through high school. Now that I am getting a little older, I still try to stay active and spend the majority of my time coaching my kids baseball and basketball teams. Since I live in Ohio, and our weather is similar to Michigan, my favorite outdoor activities are spending time with the family at the pool and running my kids to baseball, basketball and cross country practices. I also try to play basketball as much as I can throughout the year. In the fall we really enjoy watching Ohio State beat Michigan! How have the insoles helped you? Since I have been in the orthotic world for over eight years, I’ve had the benefit of being able to wear many different types of insoles. I think the biggest advantage to wearing insoles has been being able to stay healthy and active. How is this product different from others in the market? What kind of benefits can runners in particular expect to experience from wearing these? The Zelus line is truly unique because of the SmartCells technology. SmartCells provide extra cushion to reduce impact, plus provide a response with every step you take. They are the reason I wanted to be part of this team when we brought them to market, mainly because there is nothing like it in the industry. I think runners will feel an immediate difference the minute you put them in your shoes. The action of the cells compressing and responding will help with fatigue and hopefully keep your legs feeling fresh, especially after long runs. What would you like people to know about the insoles? 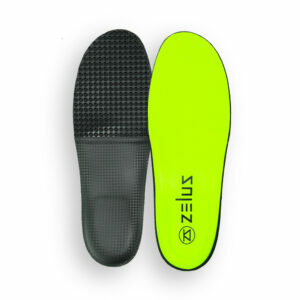 Our Zelus insoles are built by Fastech Labs. Fastech has been in the orthotic industry for over 30 years and has worked with many top professional athletes and sports teams around the country. When you combine the Fastech history with the 25+ years of SmartCells cushioning technology, you get a product that has decades of experience built right in. 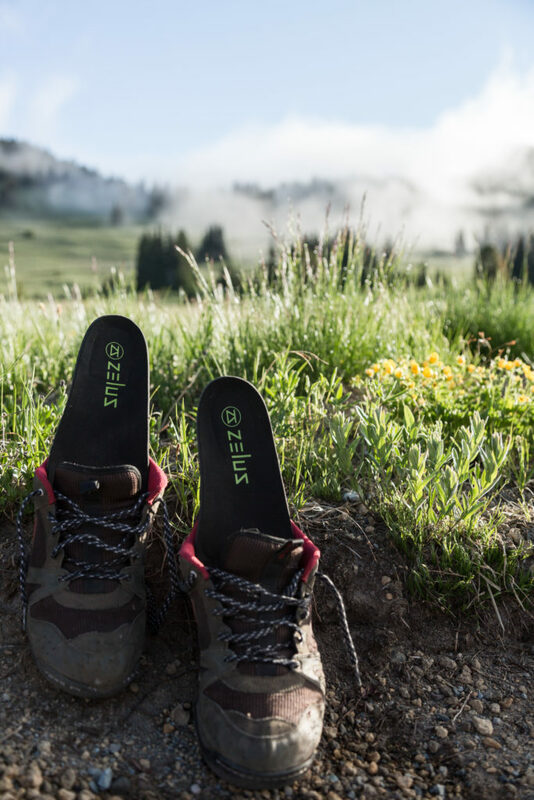 So if you’re on your feet all day at work or want to maintain a healthy and active lifestyle, Zelus insoles will help you perform at your best everyday. I’d love to hear if insoles in general have worked for you. Share your experiences in the comments below.